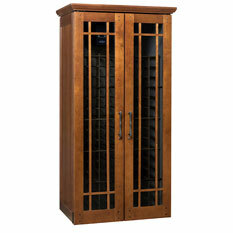 Engineered to recreate the climate found in natural wine cellars, Le Cache Premium Wine Cabinets provide optimal wine storage conditions to preserve and age fine wines. 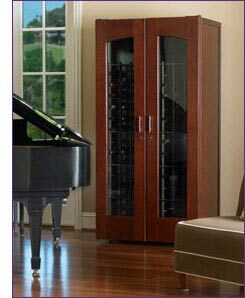 Each Le Cache wine cabinet stores bottles in a sealed, protected environment that is cool, dark and free from outside disturbances. 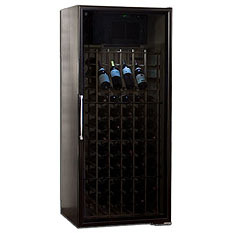 Climate control and premium insulation ensure a cool constant temperature and a 50%-70% humidity for your fine wines to properly age. 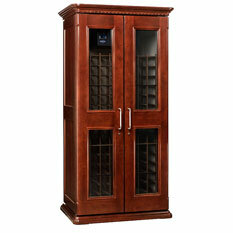 Perfect for both casual and formal settings, Le Cache Premium Wine Cabinets come in two distinct lines: the Contemporary Series with its clean, elegant design suited for modern settings and the European Country Series in a classic style reminiscent of fine European Country furniture. 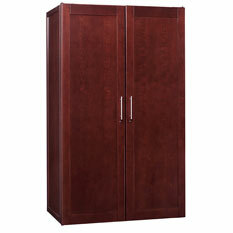 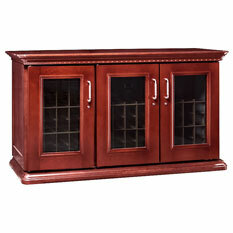 Every Le Cache wine cabinet features a handcrafted cherry wood exterior, a choice of premium hand-stained finish, solid cherry wood doors, interlock all-wood racking that fits almost all sizes of wine bottles, an ultra-quiet CellarPro cooling system, top-vent exhaust and zero set back from the wall.